This book is a practical and timely resource for clergy and laity. 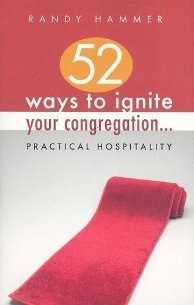 It offers 52 short (one- to two-page) practical pointers to assist congregations in extending hospitality to newcomers, making them feel welcome, and taking positive steps to ensure they look forward to returning. Additionally, it includes: clever pull quotes for use on posters and in bulletins and newsletters; an appendix that gathers up the illustrations mentioned throughout; a checklist of items needing attention; questions for discussion and action; a selected annotated bibliography; and, as a bonus, several copy-ready bulletin inserts on various facets of hospitality.